South Sudan's food crisis is the worst in the world, the UN Security Council has warned, calling for urgent action. It said there was a "catastrophic food insecurity" in the country, urging donor nations who pledged $618m (?364m) in aid to make good on their promise. The UN children's fund, Unicef, said some four million - a third of the population - could be affected. 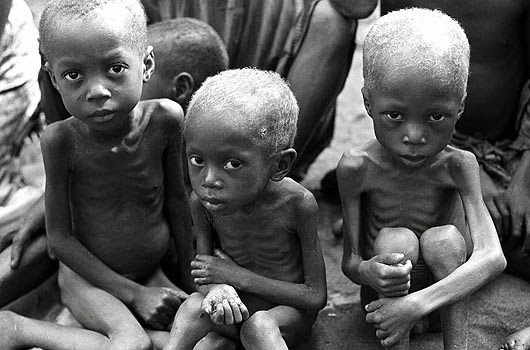 It said that 50,000 children may die of hunger in the conflict-torn country unless international help increased. More than a million people have fled their homes since fighting erupted between different factions of South Sudan's ruling party last December. The onset of the rainy season has added to the problem, dashing hopes that displaced farmers plant crops to feed themselves in the future, the BBC's Rob Broomby reports. South Sudan, which gained independence from Sudan in 2011, topped the list of fragile states in this year's index released by The Fund for Peace, a leading US-based research institute.